“there are so many doors to open. I am impatient to begin…” – Charlie Gordan, Flowers for Algernon. Many Dubliners are familiar with the well-known comercial souvenir poster, prominent in pubs and language schools, showing a grid of photographs depicting lovely painted Georgian doors. The simple, elegant Neo-Classical restraint of Georgian doors are of course wonderful. 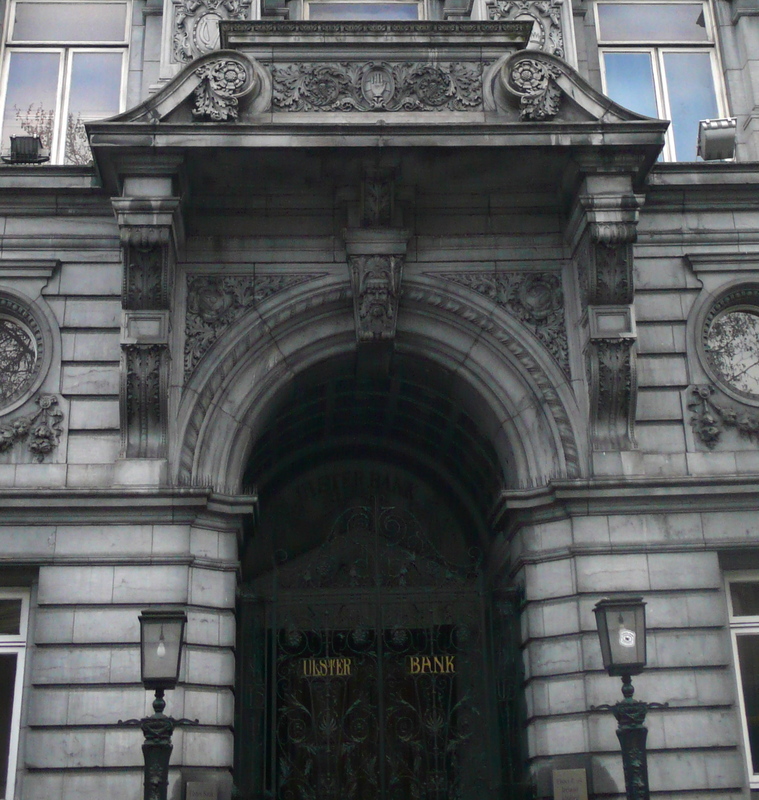 But, as one of the main vehicles for architectural expression, the doors of our capital are far more varied than that. 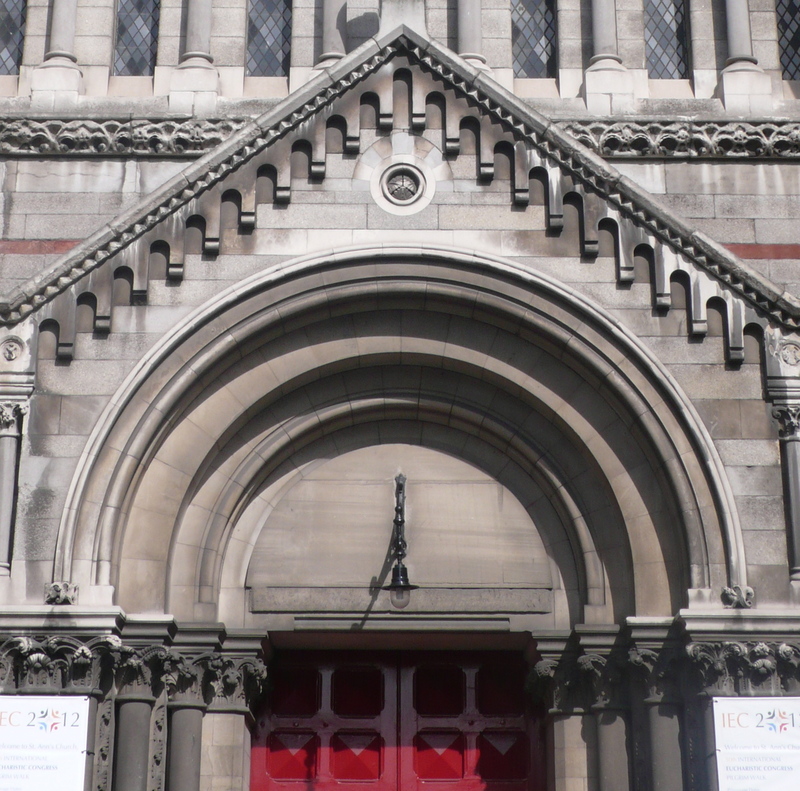 From genuine medieval to 19th century medieval pastiche, from neo-Romanesque to neo-Gothic revival, the 14 doors below show a range of period historical and architectural styles that reflects the richness, diversity and quality of Dublin’s built heritage. As I do these days, i have dressed this little photo-essay in the guise of a quiz…. How many of these portals can you identify and name? All bar one are in Dublin city centre, and I think the exception is easy to spot. Your responses via the comments bar please. Answers will be revealed over the next the 5 or 6 days. Enjoy, and best of luck. 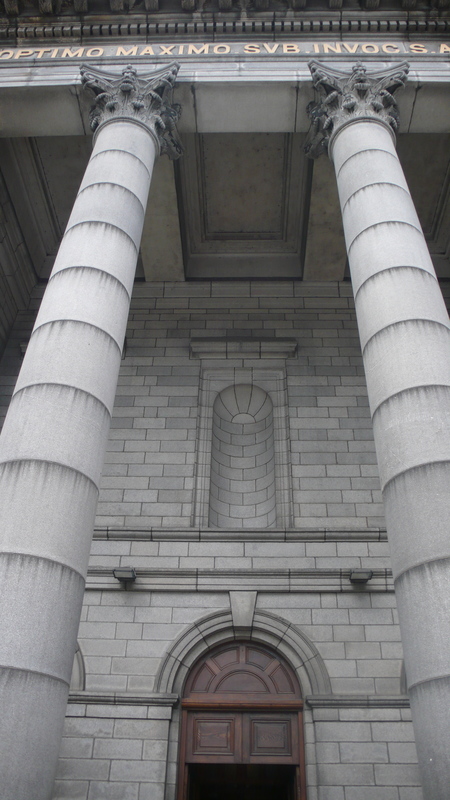 Number 1- In the shadowy gloom below this huge portico and behind these vast, soaring columns, where is this door? 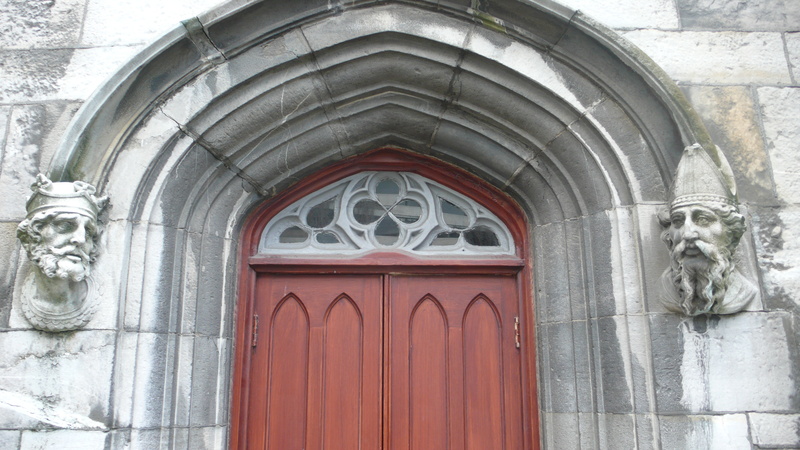 Number 2- Where is this splendid and ornate door ? 3- and this one ? 5- and this door? Where and what? Number 6- A church obviously, in the Romanesque style. But which church ? Number 7, below. – where is this? Okay, you are half way there. 7 more to go. Here is number 8. Where is this old door? Number 9- I suspect this is the most difficult question in the quiz. 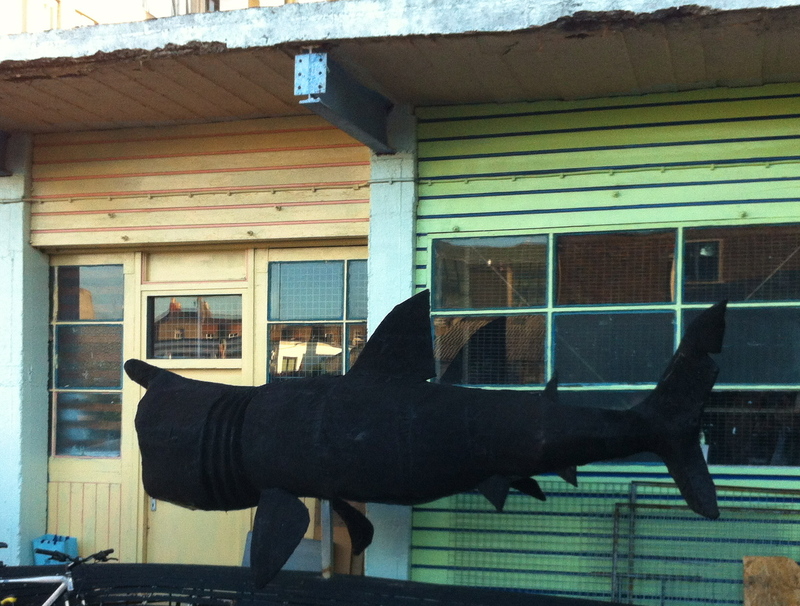 Or rather, given the large sculpture of a basking shark floating across the front of this door, this is an obvious you know-it or-you-don’t. 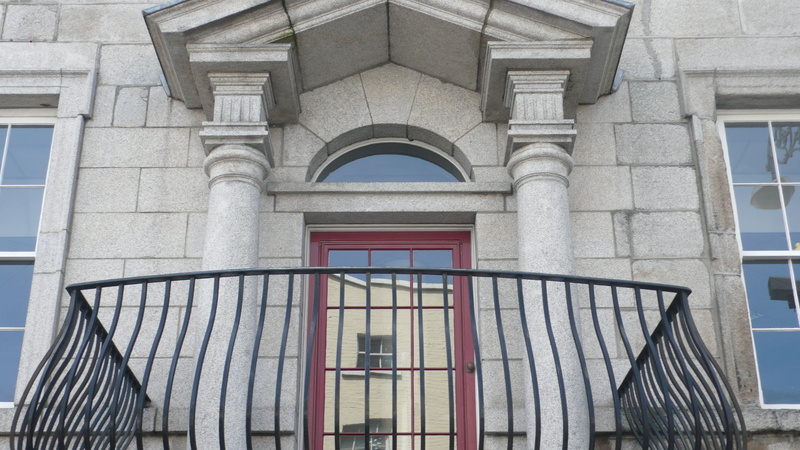 10- Where is this elegant early 18th-century entrance? 11- Where do these two wonderful sculpted heads flank this door? If you are temporarily stuck, then think about the precise iconography of the two characters depicted. The choice was very deliberate. ..
12- Where and what is this building ? 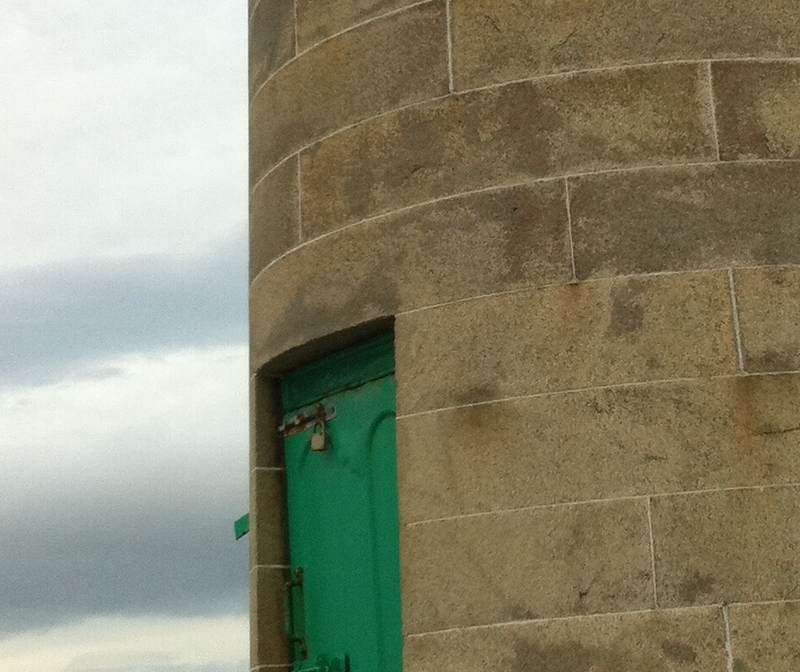 13- and this, penultimate, door… ? 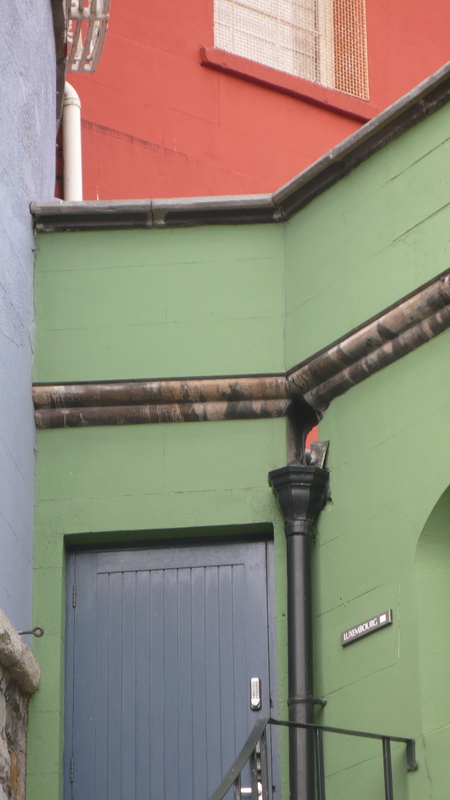 15- Finally, where is this riot of primary colour? Response via the comments bar please. The answers will be revealed over the next week. Maddening. Every time I look at a picture to expand it I loose all my answers in the box below. Can’t face submitting them again – have tried ten times and have run out of patience. I know them all except for 5,8,9 and 12. Ah.. no picture-expanding allowed! I feel your frustration though, nothing more vexing than bad technology wasting your time. Try again tomorrow or whenever if you get the energy, you have 5 days and your answers are always good. Thanks for looking. By the way, some people asked “where are the answers to the previous quiz?” They are of course at the end of the previous post about Egypt. Because the unifying, (mystery) theme that linked all those buildings in that last quiz was, that they were all, in some way, influenced by ancient Egypt. Naturally I hope people will read the post and find it interesting, but if people are short on time and just want the answers, just look at the last 1/3 of the post, they are all there. -Arran. Thank you for your kind and generous comments, much appreciated…. 1. Bank of ireland College green. 2 Ulster Bank on Dame St 3. Dunlaoughre Pier? 4. Peppercanister Church 5 ??? 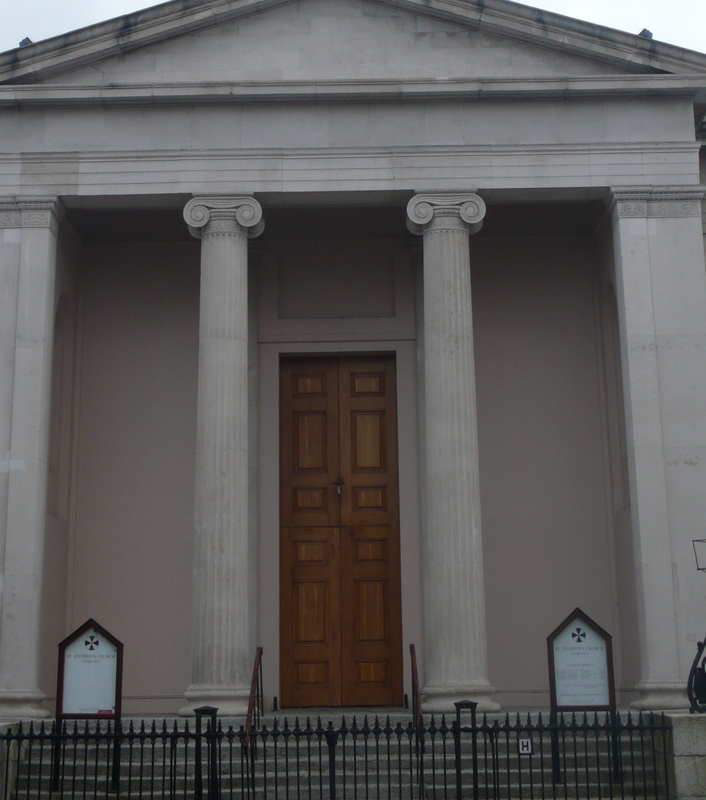 6 St Anns Church Dawson St 7 Dublin Castle? 8??? oops…….I hope I left my answers in the right place, apologies if I haven’t……..! Anyway, I love getting all answers but I am holding back publishing them here, yet. This is because many of them have many correct answers (Anna’s response for example) and I want to give it another week to give folks a chance to have a go. Did any of that makes sense?! Anyway… Please do have a go, & if you submit your answer via the comments bar here, don’t worry if you don’t see it here… it is being read and appreciated. Honest. Promise! Note – I promise that I haven’t copied from Emmeline’s answers above. 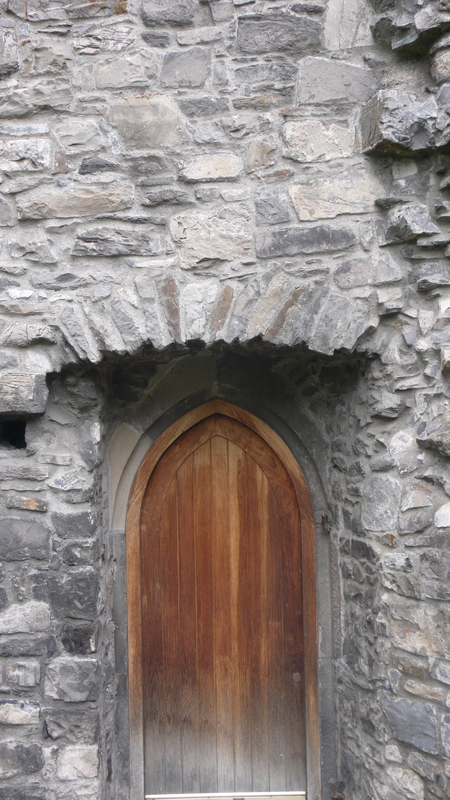 8) Somewhere around walls of Dublin… under Christ Church and environs? 9) No idea. Looks like it’s for young people. 12) Somewhere on Lower Mount Street? A few people have sent in answers now, including excellent responses from Anna Rackard, Tig Mays and Emmeline Henderson. Thank you very much to everyone who has. Please do not be disquieted if you notice your answer not appearing below yet, this is only to give other people a chance to answer “blind” so to speak. All the answers and responses will be published very soon. May I ask anyone reading this to share it on Facebook? I’d love a few more people to see it and to have a go. Many thanks- Arran. 8. Cork Street side of St Audeons’? 12. The balcony. I know this. But … No, I don’t. 14. An invisible door in a top secret lab. 5 One of the side doors of the National Concert Hall? 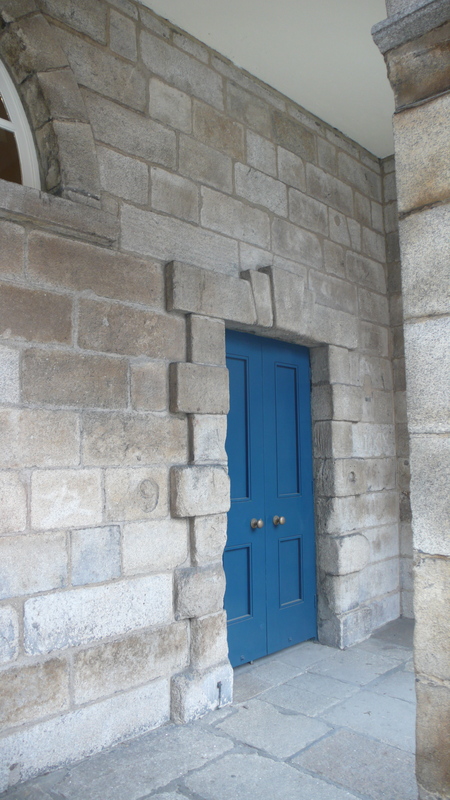 7 The ‘number 9’ makes me think it’s in Trinity or Dublin Castle but don’t know! 8 Because the surrounding bricks are so old am imagining St Audeon’s or Christchurch Cathedral somewhere but don’t know. 12 The reflection in the window and the CCTV camera would make you think it’s up around Merrion Square somewhere but don’t know! 15 Inside Dublin Castle somewhere? More good answers coming in today, thank you. I am delighted. Please keep them coming, and please do spread the word. Answers very soon, Tuesday night or Wednesday lunch time latest, I promise. I am of course keeping the answers off-line as much as I can but I’ve noted people getting 8, 9- and even 10 right, and I think I even saw a very. very impressive 12 today. But I am hoping somebody is going to somehow ace it in the next 36-48 hours with the maximum 14. Someone, maybe.. ? Go on and try ! 14. I’ll try Dublin Castle again! Looking forward to seeing how wrong I was! On a completely unrelated note, I’m sending you a link to my Dave’s blog on the Phoenix Park, as this week he is writing about the Phoenix Park dolmen-which is small and perfectly formed! Hi Aaron. Emmeline is dutifully promoting your blog on Facebook. Here are the answers I can think of – Im stumped on two, and there is no No.14: 1- Bank of Ireland College Green; 2- Ulster Bank, College Green; 3- West Pier DLR; 4- Pepper Canister; 5- National Concert Hall; 6- St. Ann’s Dawson St; 7- Bedford Tower, Dublin Castle; 8- St. Audoens COI; 9- ? ; 10- Tailor’s Hall; 11- Chapel Royal, Dublin Castle; 12- ? ; 13- St Werburgh’s; 14- Dublin Castle. 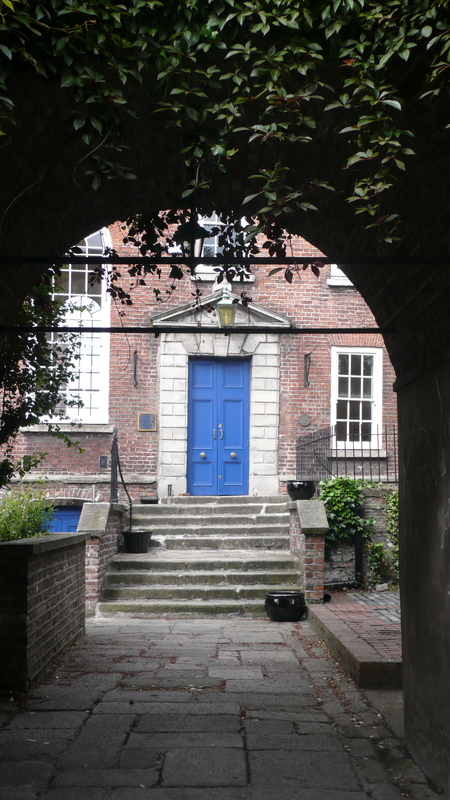 Got another one – No.12 is the Mercer Hospital Stephen Street, Dublin! Actually, hadn’t noticed the An Taisce logo by the door in photo 10. So please update my answer to T….. …l for that one. About six of these are guesses! 3 Martello Tower Sandycove ? 6 St Anns Dawson St ? 7 Courtyard, Dublin Castle ? 6 is probably wrong because eucharistic congress signage indicates RC church unless it was ecumenically involved! Great pics. Dublin is a place I never visited, but is on my list of Cities I must see. I was lucky to have lived in York until last year…a great place for doors and more! Interesting blog Arran. hey, thank you for your kind words. Welcome on board. Great to meet you last night!-Great blog and looked up Dublin Decoded too. I really do want to know more about this old bird; Dublin Town so i guess i am in the right place. Hey, that’s brilliant Helen, thanks very much. honoured you looked us up & had a look around and enjoyed it. Was very nice to meet you too. What a great event. Inspirational really. Dublin is such a great town, both for the history, & lovely old buildings etc and of course, for the people right in the here & now. Last night was such a good reminder of that. Or who knows, maybe i read too much history these days, and just need to get out more! Anyway, hope you make a tour sometime, would be lovely to see you again. My very best wishes – Arran. 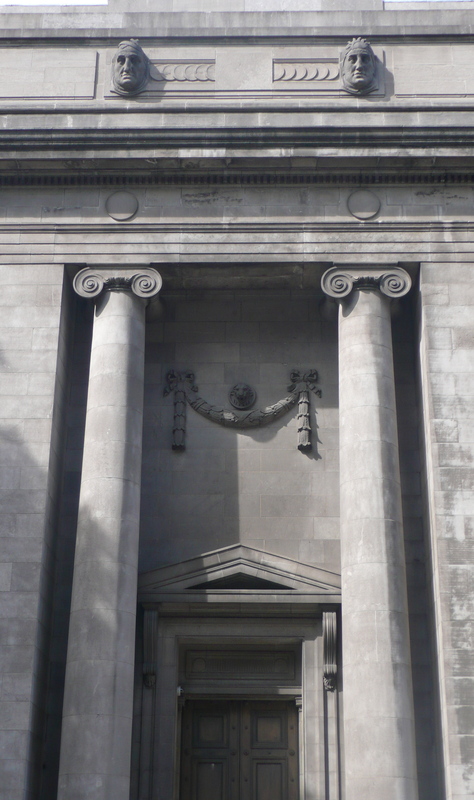 Previous Post Egyptian Neo-Classical Architecture in Dublin: the Ripples of History. A self-indulgent & speculative wander, through ideas, history, and some favourite Dublin buildings. 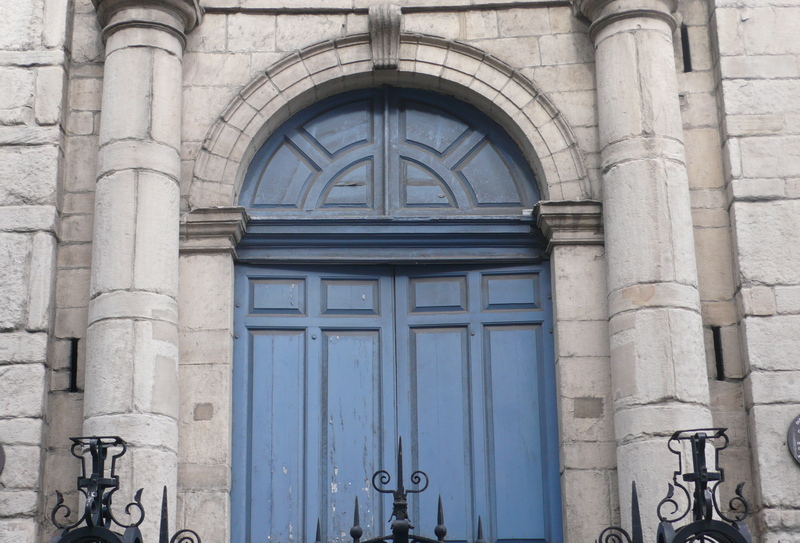 Next Post Answers to the Doors of Dublin Quiz.